Not so long ago the only nut milk available was almond milk. But now you can find all sorts of nut milks which I’m really enjoying trying out. 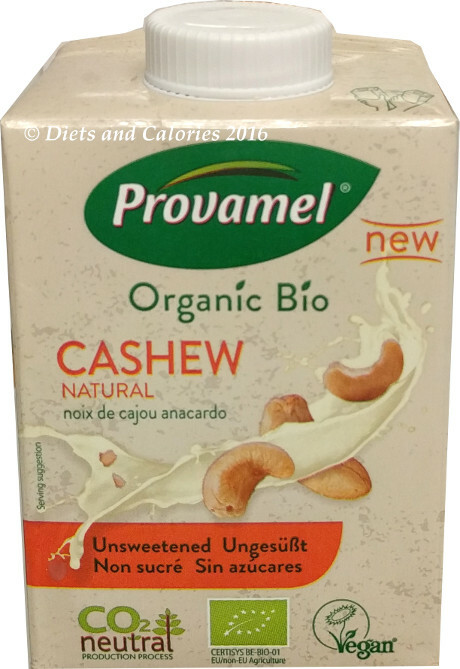 My latest discovery is Cashew Nut milk made by Provamel who produce organic alternatives to dairy. “We create delicious, naturally healthy, plant-based organic foods, for the maximum well-being of everyone and the utmost respect for our planet”. 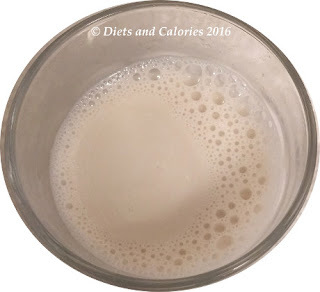 The trouble with a lot of these alternative to dairy milks is that they are just so expensive when compared with dairy. So if you’re forking out all that extra, you want to be sure you’re getting something tasty that you can enjoy. I’d seen Provamel’s organic cashew nut milk on the shelves at Holland and Barrett and was pleased to see it was available in a smaller 500ml carton. I started off tasting some at room temperature in a small glass. It’s a pale creamy colour with a sweet nutty smell. 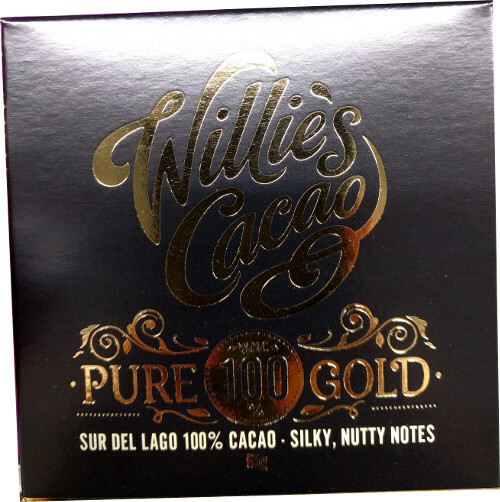 As for the taste, well, I love it, possibly because it actually tastes a bit sweet, despite not being sweetened. 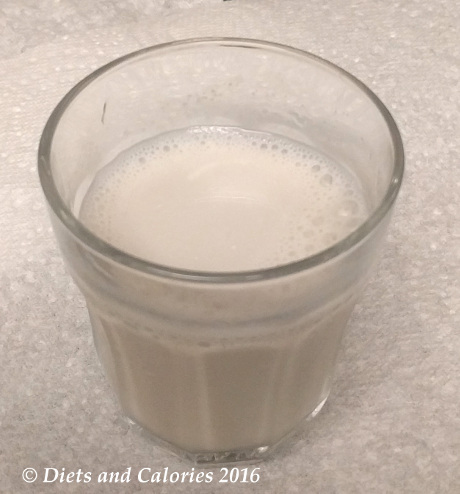 It has only 3 ingredients and a slightly higher percentage of nuts than many other popular nut milks. 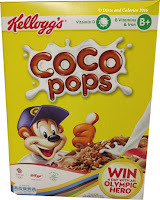 I shared this with my younger daughter who likes nutty milks and she also really liked this one. I used the rest mixed in with smoothies but haven’t yet tried it in coffee or tea. I will definitely be purchasing some more of this as I like that there are no added nasty extras. It does have small lumpy bits which you get when you give it a good shake. I don’t mind these at all and they taste just like bits of nutty cream. Because it’s organic, it doesn’t have added calcium, or B12 or vitamin D, so take this into consideration when using it as a main dairy milk alternative. 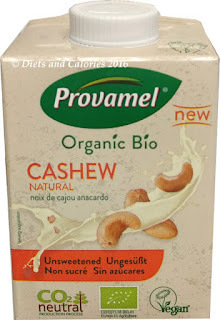 Provamel’s Organic Bio Cashew milk is unsweetened, and is suitable for vegetarians and vegans. You can find this nut milk in Holland and Barrett and other health food shops. Also in Waitrose and Ocado online. It cost £1.79 at the time of purchase for a 500ml carton. Ingredients: water, cashew (6%), sea salt. 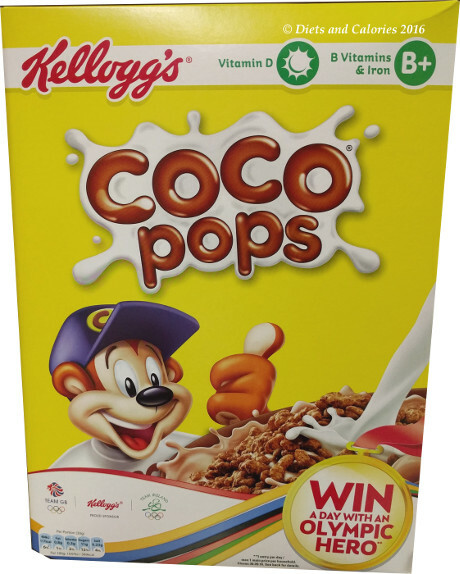 Nutrition per 100ml: 36 Calories, 2.6g fat, 0.6g saturated fat, 1.6g carbs, 0.3g sugars, 0.2g fibre, 0.9g protein, 0.13g salt.